John Long Jr. founder of Long Motor Sales knew what the philosophy of service and commitment meant. It is this same philosophy that has kept Long Motor Sales in business for more than 43 years. 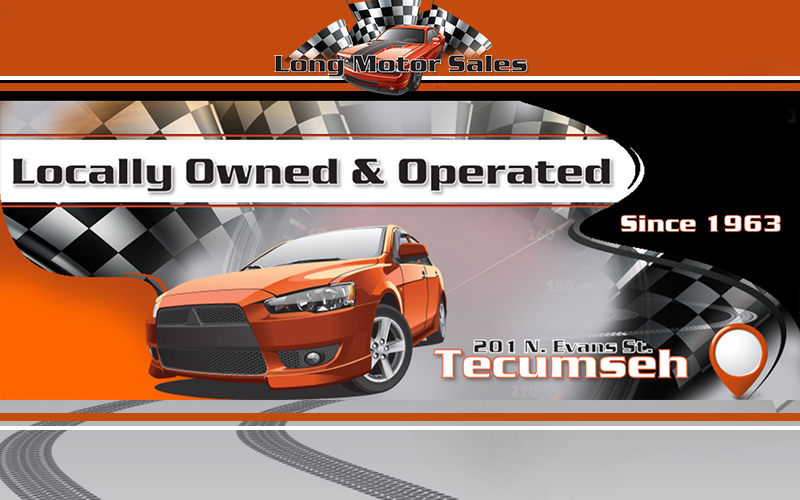 We are conveniently located in historical downtown Tecumseh and have been serving the community with quality used cars, trucks and auto repair since 1963. Today, Long Motor Sales is owned and operated by Eric and Patty Long, proud son and daughter-in-law of John Long Jr. and carry on his tradition of providing you with excellence and service you can't find anywhere else. So if you are looking for a quality used vehicle or just simply need repair to your existing automobile, come to a place that you can trust, come to Long Motor Sales where everyone is treated like family.